What are the Benefits of the Portland Gold Discretionary Managed Account Program? Portland Gold Discretionary Managed Account Program provides you with an opportunity to access quality institutional investment managers and investment strategies in both public and private markets with a low minimum account size of $10,000. 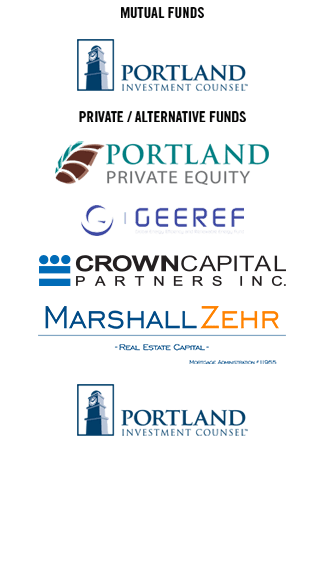 This program is designed for investors who are serious about being provided a portfolio solution utilizing Portland Investment Counsel’s mutual funds as well as access to Portland Investment Counsel’s exclusive private equity offerings that are typically reserved for affluent private client and large institutions. Access: This program gives you access to PRIVATE investment products similar to those investments of the preeminent pension plans. Approach: We do not let our emotions corrode our decision making framework. Our framework is the 5 Laws of Wealth Creation: 1. Own a few high-quality businesses, 2. that you thoroughly understand, 3. that are domiciled in strong, long-term growth industries, 4. that use other people’s money, prudently, and 5. that are bought at attractive valuations and held as long as the company remains high quality and at a reasonable valuation. Innovation: We believe we are pioneers in our industry, providing our clients access to quality public and private products.